So many excellent points are made here that we can only vigororously nod our head in agreement and say: let the games begin. Or continue. Whatevs. Thanks, Genghis — this is indeed hot smokin’ hot — you have so redeemed the Midwest (or at least a little). I would think that Chicago would have a lot of Hot Gay Statues giving the state of it’s gay population! 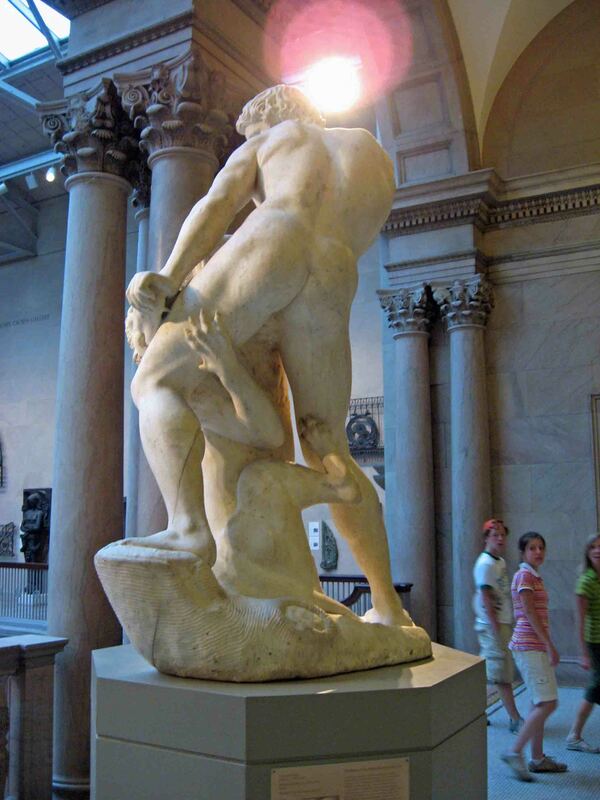 And I must say that is a wonderful sculpture although society deemed it necessary to cover the rear under view! Oh well, here’s to the future hope of art! Agreed — let’s hope this inspires a few more submissions from Chicago folks!